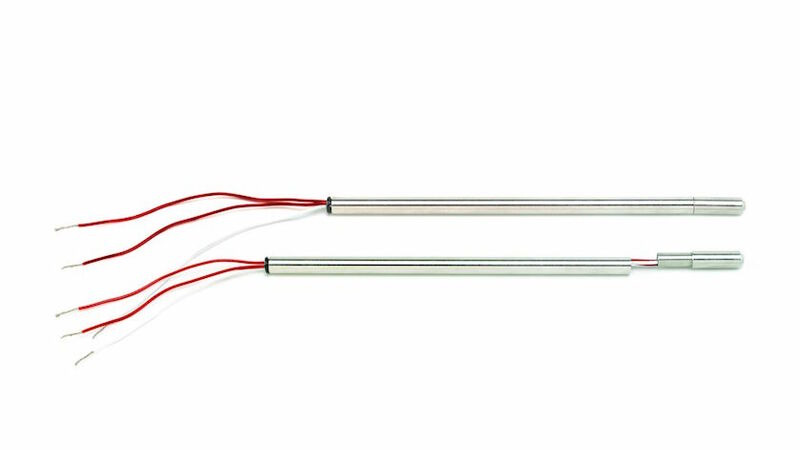 RTD sensors are robust temperature measurement devices used in many applications across multiple industries. However, like any other industrial instrumentation, they will fail – regardless of their robustness or the environment – after years of service. WIKA USA’s cut-to-length RTD sensor is an excellent stopgap solution for failed resistance thermometers that minimizes downtime without requiring a large inventory or financial investment. Resistance temperature detectors (RTDs), or resistance thermometers, are highly accurate temperature measurement instruments. Thanks to their fast response times, linear output, long-term stability, and high repeatability, RTDs are ideal for measuring temperature in processes below 600°C (1,112°F). RTD sensors work well for a wide range of temperatures and can be easily configured to suit most industrial and commercial applications. WIKA USA’s resistance thermometersperform extremely well and last a long time. However, even the most robust temperature measurement device will eventually fail. To avoid downtime and its associated costs, process operators need to quickly replace the nonworking RTD sensor. The problem: Industrial resistance thermometerscome in different lengths, and the typical refinery, factory, or power plant uses a range of RTDs in various lengths. Does each site need to have every length on hand in order to keep downtime to a minimum? Not if they have a one-length-fits-all temporary solution. WIKA’s innovative TR45 series, the first cut-to-length RTD sensor of its kind on the market, are thin-film, tip-sensitivePt100 resistance thermometers. They come with 316/316L stainless steel sheaths and are supplied in predetermined lengths. Technicians can trim them as necessary to fit the particulars of the application and quickly replace a failed sensor while waiting for a permanent replacement. No need to purchase and stock backup RTDs of multiple lengths. No more long waits for a new RTD sensor to arrive if you don’t have the right length on hand. What’s more, the TR45 series is reasonably priced. With decades of experience designing and manufacturing temperature measurement devices, WIKA continuously works to improve existing products and develop new ones. The TR45 is a low-cost temporary solution, perfect for applications where downtime must be kept to a minimum. Contact WIKA’s USA today to learn more about how a cut-to-length RTD sensor can help you avoid frustrations, delays, and high costs.